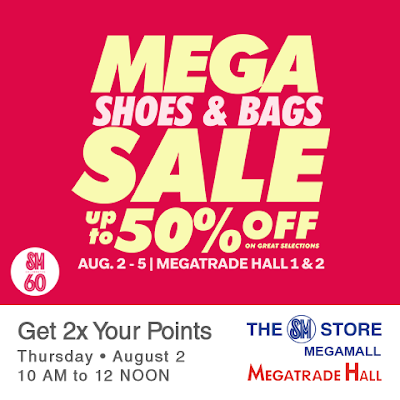 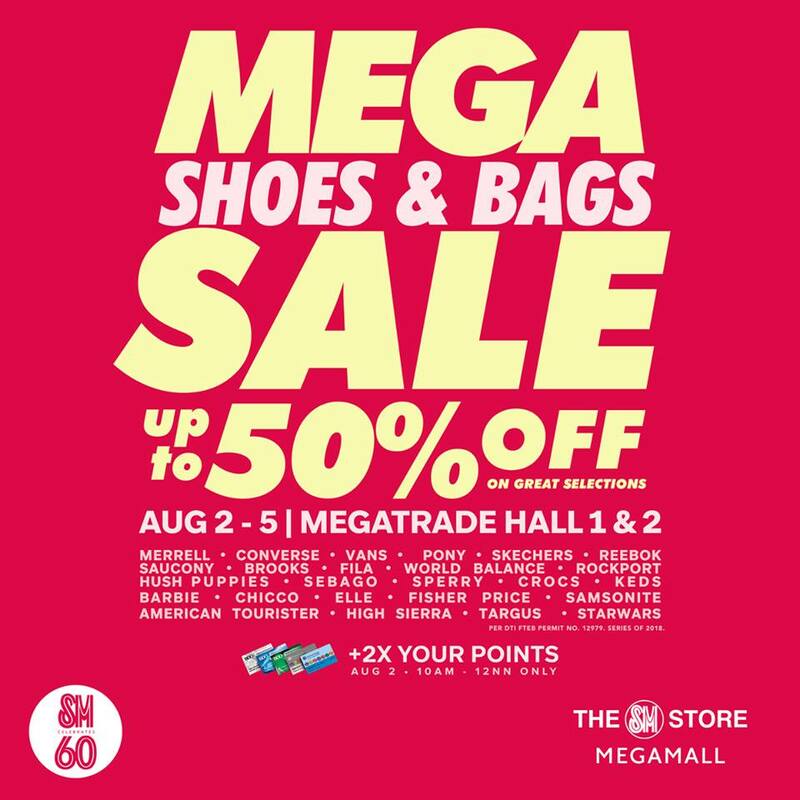 Check out the Mega Shoes & Bags SALE on August 2-5, 2018 at the Megatrade Hall, SM Megamall. 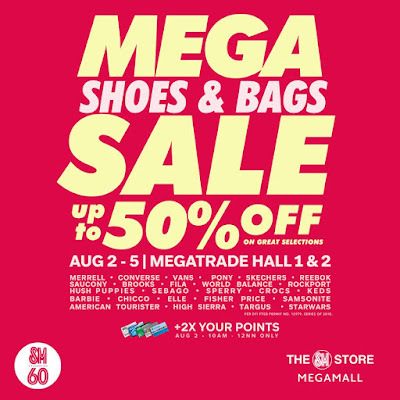 Get up to 50% off on your favorite shoes, bags, and luggage brands like Merrell, Converse, Vans, Skechers, Reebok, Saucony, Brooks, Fila, Rockport, Hush Puppies, Sebago, Sperry, Crocs, Keds, Samsonite, American Tourister, Targus, High Sierra, Barbie, and more! SM Advantage, SM Prestige, and BDO Rewards cardholders get 2x points when they shop and present their cards on August 2 from 10am to 12nn.